The digestive system is responsible for generating the energy and nutrients for the body. However, there are habits that put it in danger. Among these are excess alcohol and smoking, processed foods and too much caffeine, among others. Click here for more info. Heartburn treatment is centered on drugs. The most common are known as PPIs (proton-pump inhibitors), which can cause a series of side effects. However, the medication must be accompanied by several changes of habits, such as losing weight, no more large meals or late snacks, among others. The good thing is that, over the time, the new habits will loosen the dependency on the heartburn drugs. Additional details click here. Waist trainers and corsets are popular among women who have given birth and want to recover their figure without going to the gym. However, the constriction in the abdomen has consequences on the internal organs. One of them is the extra pressure on the stomach causes acid reflux. More info click here. Many people have found out that lemon water is a good way to start the day. It has vitamins B and C, and also many other medicinal benefits. It boosts your immunity, helps by inflammation by neutralizing the acidic levels on the body. This also helps in to treat heartburn and acid reflux. Check all the properties. Click here for more information. Cold brew is a new version of iced coffee. It is made at room temperature or chilled water so that the coffee slowly infuses in time. This turns it into less acidic and easier to digest, which makes it ideal for people with acid reflux. Additional information click here. Constipation happens when the stools remain too much time in the colon. This causes the colon to absorb excess water from the stool, dries it and makes it difficult to pass. In some cases, it might cause hemorrhoids. It is usually confused with irregular bowel movement, which depends on the individual, and can be from three times a day to three times a week. The reason might be the diet and lack of fiber ingestion. Click here for more information. Sodium bicarbonate, also known as baking soda is one of the most common home remedies for acid for acid reflux. According to specialists, it is a temporary solution, but if used frequently, it has dangerous side effects, such as excess gas, high sodium intake, with its consequences for blood pressure, and risk of osteoporosis and other bone conditions. Read the full list. Additional details click here. Certain pregnancy discomforts can be treated with diet. Nausea can be avoided by eating fewer carbohydrates and more protein. Heartburn can be dealt with avoiding foods such as caffeine, garlic, citrus, onion, and black pepper. Improve water retention with foods with potassium, such as chia seeds. Check all the pregnancy issues. More Information click here. Microbial diversity in out intestines helps with digestion. A study has shown that red wine, coffee, and tea are related to high microbial diversity, but sodas, sugar, snacks, and milk, were related to low microbial diversity. Click here for more details. Heartburn is usually related to poor digestion, and antacids become the most common answer. However, prevention is a better answer, such as identifying and removing the triggers and replenishing the stomach bacteria by the ingestion of probiotics. Additional information click here. Did you know that half the heart attacks go undetected? 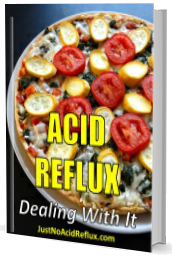 This is because there are no symptoms or if there are, they can get confused with indigestion or acid reflux. Since there are no classic chest pain, nausea, sweating or shortness of breath, the cardiovascular condition does not receive proper treatment. However you cardiologist can detect if you had one. Additional information click here. Holidays and vacations are sometimes excuses to indulge in over-eating, with bad results on gastric health. Among the tips to avoid this are taking healthful snacks, such as carrots, apples, and almonds. Yogurt contains probiotics for a healthy gut. Also, eat mindfully to avoid gas and bloating – remember that the brain takes 20 minutes to recognize when the stomach is full. This will also make eating more enjoyable. Check the full list. Click here for more information. There are foods to be avoided when traveling on a plane because they might cause indigestion, gasses, or bad breath. Among these are sandwiched made of perishable food, such as tuna deli. Also yogurt and other dairies, it can clog your system, since your body is under extra-pressurization. Cruciferous vegetables, such as broccoli and cabbage will lead to excess gas. Check all the list. Click here for more information. The most common symptom of acid reflux is heartburn, which consists of a pain in the abdomen and chest. However, there are other symptoms, such as excess salivation, which is a response to irritation of stomach acid a radiating pressure in the chest, which can be confused by a heart attack, and chronic coughing, caused by the stomach acid in the throat. More Information click here. Belly bloat leaves us a weird sensation in the abdomen. A way to deal with it is cutting off all the gas-producing foods, like carbs, refined sugars, and vegetables like broccoli and beans. Also, reduce seasonings, consume smaller meals and replace soda with water. Check all the list. Additional details click here. There are cases in which acid reflux medication does not show a major effect on patients. This is because the valve between the stomach and esophagus, the lower esophageal sphincter (LSI) does not respond to these drugs, allowing the return of stomach acids and digestive matter. However, acupuncture treatment has successfully stimulated the function on the LSI according to a study in China. Read Click here for more information. Cancer is a condition that has more probability of successful treatment if detected early. Therefore it is important to watch for the symptoms. Some of them are changes in the skin, such as spots, or a constant cough. There are also digestive issues, like bloating combined with fatigue and weight loss. Other is blood in stools, and problems while swallowing. Check all the symptoms. Additional information click here. There are cases in which fast food has a second definition. Besides being prepared quickly, it is eaten rapidly. Food needs to be chewed properly to break it up into smaller pieces and mixed with saliva enzymes for proper digestion. Also, proper digestion is established after 20 minutes. Eating too fast may have serious health consequences, such as increasing the risk of diabetes, due to insulin resistance caused by overeating. The heart also suffers due to a higher risk of developing metabolic syndrome. It also causes obesity because the brain does not receive the signal of fullness in time, and also leads to acid reflux, since there is excessive secretion of acid to process the poorly chewed food. More details click here. It is known that acid reflux disrupts sleep, which will result in poor regeneration of the mind and body, and a sensation of fatigue the next day. This simple formula will help you avoiding acid reflux at night and other things that may interrupt a good night’s sleep. More details click here. We have reviewed which food to avoid a good sleep. So which foods will promote rest and sleep? There are foods that help with the production of serotonin and melatonin, which stimulate sleep, such as most animal proteins, chia seeds, and walnuts. Also avocado has magnesium, which helps with muscle relaxation. Check the full details. More info click here. Persistent acid reflux permits the stomach acid to contact the delicate tissues of the esophagus. Eventually, this can turn into cancer. To treat it, the normal procedure is surgery, in which part of the esophagus is removed. However, there is a new treatment in which an electrode is inserted into the gullet and burns away cancerous or pre-cancerous tissue. Click here for more information.